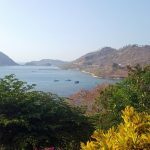 Take a scenic drive from Labuan Bajo to Roe Village (approx. 1 hr) where the trailhead of Mount Mbeliling is located. 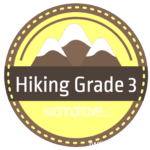 The trek to the summit (1290m) takes about 3-4 hrs one way through cool mountain forests with rich variety of flora and fauna. 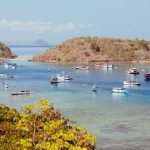 At the top, you will be rewarded with breath taking view over Flores from Labuan Bajo and Komodo Islands in the west to volcanic cones and lake in the east. If time permits, you can also visit Cunca Rami Waterfall – one of the highest in Flores and with pretty pools that offers a refreshing swim. During the trek, you will also pass through various villages and plantations and have the opportunity to watch locals at work in their farmlands and animals like water buffaloes, pigs, and goats grazing freely in the fields. 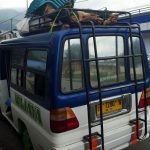 The trek will finish at Werang Village where your driver will be waiting for you to fetch you back to Labuan Bajo. 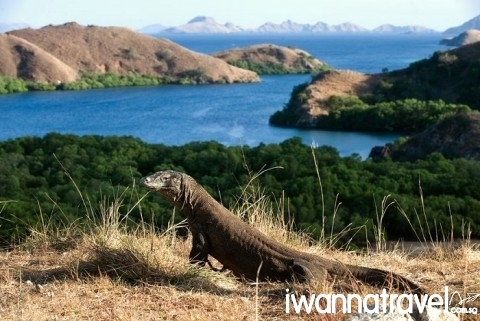 Nestled between Sumbawa and Flores, the islands of Komodo National Park with their craggy peaks and savannah hill sides are home to beautiful marine life and the legendary Komodo dragons – largest living species of lizard on earth. In the morning, we will leave the bustling Labuan Bajo port for Kelor Island for snorkeling. The serene and picturesque tropical island with glistening sandy beach, magnificent sea garden and coral reefs is home to a home to a myriad of marine life like sea anemone, clown fish, stingrays, dolphins and turtles. 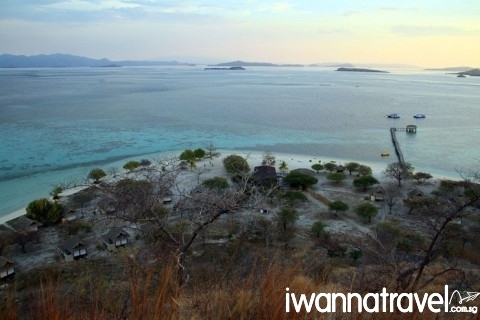 You can also climb up to the top of the island for a bird eye view of Flores Sea and the Komodo National Park. 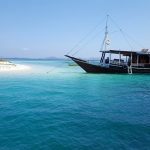 We will proceed to another snorkeling site – Kanawa Island – another paradise island in its own right. After a picnic lunch on the tranquil Kanawa beach, we will move on to Rinca Island to hunt for dragons. 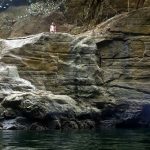 There are numerous hiking trails ranging from a short and easy 30 min stroll to a few hours long and strenuous hike that transverses across hill tops and valleys. Other than dragons, there are also good sightseeing opportunities of dragon nests where the dragons lay their eggs, Timor deer and wild pigs. 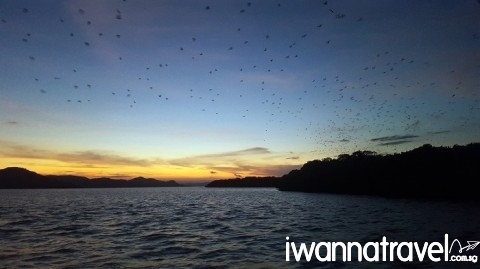 Thereafter, we will proceed towards Kalong Island (aka Fruit Bat Island) a low lying circular island covered with thick mangrove swamp to await for an incredible natural phenomenon where at dusk tens of thousands of flying fox will emerge from the island to fly towards Labuan Bajo for their daily food hunt. This species of megabat is endemic to Indonesia and has a wind span of up to one meter long. Travel through Flores interior to the untouched region of Bajawa where you can experience traditional Flores culture (approx. 8 hrs drive). Along the way, you will visit the intricate spider web rice fields at Cancar. 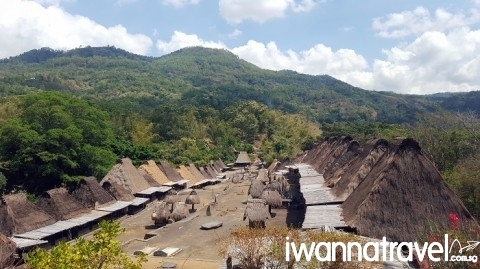 The unique shape is the result of Manggarai people’s customary tradition of distributing paddy fields into lots called Lingko. If time permits, you can also visit the famous limestone cave Liang Bau where the remains of hobbits ( small and large bodied humanoid) were found. 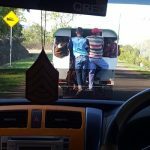 The drive to Bajawa which passes through various villages and farmland is a good way to see the daily lifestyles of the Floresians and magnificent scenery of Flores interior. 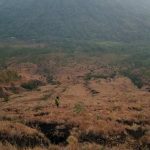 The laid back highland of Bajawa surrounded by forested volcanoes and blessed with cool climate is a good place to explore the traditional villages of the Ngada people. More than anywhere else in Flores, this region has retained its traditions and cultures despite the veil of Catholicism. One of the highlights is their interesting architecture; the villages Bena, Luba, Langa, Gurusina and Nage have ngadhu shrines with carved tree-trunk bases and bhaga (miniature houses) in the centers of their compounds. The ngadhu and bhaga which symbolize the male and female ancestors respectively are said to live in the shrines. The thatched roof houses have male or female wooden figurines on them for projection against evil spirits while doorways are decorated with buffalo horns as a sign of prosperity. 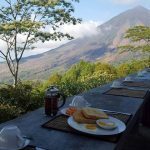 Those with an adventurous streak can attempt a sunrise hike of the beautifully pyramid shaped 2245m high Mount Inerie – one of the highest volcano in Flores. 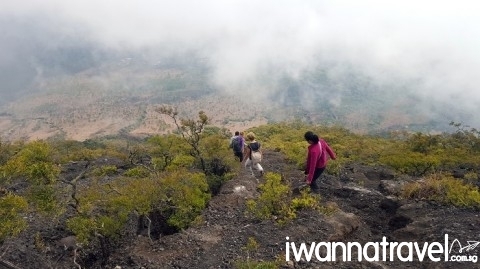 It takes about 3-4 hrs to reach the summit where you will be rewarded with stunning sunrise over the rolling hills. The region is also well-known for its coffee and spice export. Look out for the ubiquitous cashew nuts, candle nuts, coffee, cocoa, cloves and nutmeg plantations around the villages. Travel north towards the picturesque village of Moni (apprx. 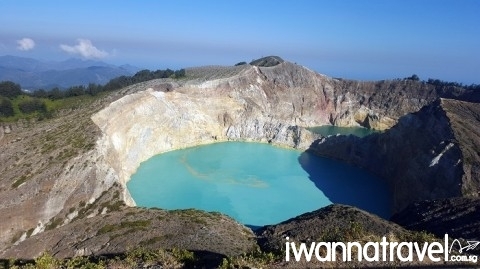 5 hrs drive) the gateway to the three coloured lakes of Mount Kelimutu. The volcano contains three striking summit crater lakes of varying colors. Tiwu Ata Mbupu (Lake of Old People) the westernmost of the three lakes is blue in colour. The other two lakes, Tiwu Nuwa Muri Koo Fai (Lake of Young Men and Maidens) and Tiwu Ata Polo (Lake of Evil Spirits) are separated by a shared crater wall and are typically green or red respectively. 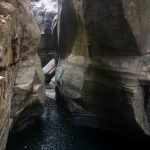 Other places of interests in the area include the pretty Murundao Waterfall and some hot springs where you can dip into to relax your aching muscles. After breakfast, you will be transferred to Ende (approx. 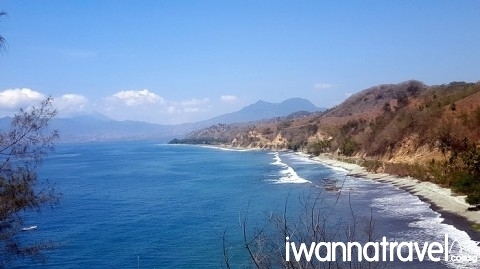 2 hrs drive) for your flight to Labuan Bajo. From Labuan Bajo, you will take a connecting flight to Singapore/Bali. Need more information on Flores Read through our Flores FAQ and get them answered!